Stinging nettles usually grow between two to four feet high and bloom from June to September. 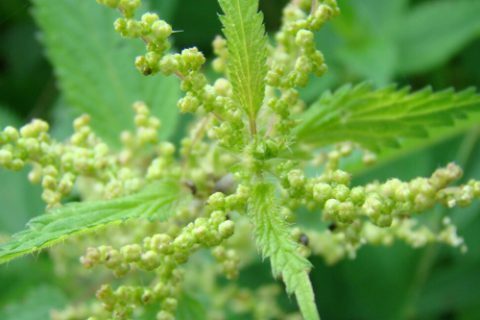 The stinging nettle contains a number of chemicals, such as serotonin, histamine and acetylcholine, some of which can be very irritating. 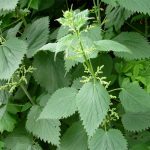 These chemicals cause the stinging irritation on skin and are found at the base of the fine hairs on the nettle rather than the jaggy leaves. When brushed up against, the fragile tips of the hair break off and the remaining hair becomes a small needle, able to deliver the chemicals into the skin. The reaction can cause pain, redness, swelling, itching and numbness. 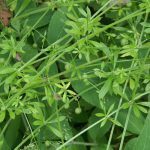 Leaves are about 2-5 inches long with jagged edges, found in opposing pairs along the upper half of the stalk. Leaves are pointed at the tips, with a heart-shaped base and indented veins. The plant will have small “hairs” up the stalk and stems. (This is where the sting comes from!) 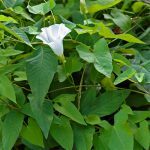 Young plants will have smaller, heart-shaped leaves with a purple-ish hue, while the mature plants have longer, pointed leaves that appear very green. Stinging nettles have tiny, fuzzy-like white flowers. 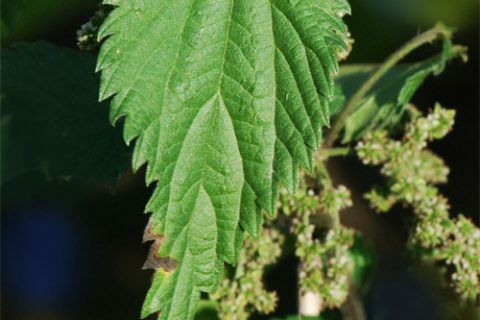 Nettles generally appear in the same locations every year. They thrive in rich soil, moist woodlands, thickets, disturbed areas, along partially shaded trails and riversides. The best time to apply weedkillers to nettles is when they are in vigorous growth, but have not yet flowered. Digging up the plants can be done at any time of year. They can be controlled using non-chemical or chemical methods. If you remove by hand, wear gloves to avoid stings. 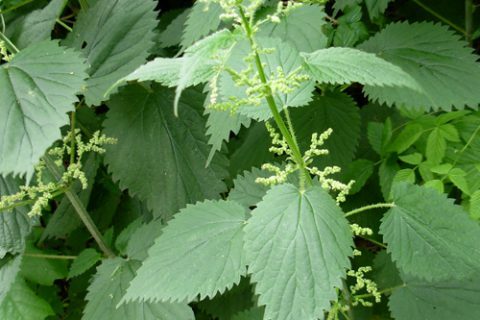 Nettles’ young leaves are a very nutritious food, high in vitamins and minerals. 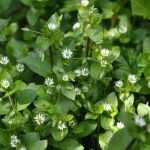 They make an excellent spinach substitute and can also be added to soups and stews. Only use the young leaves and wear stout gloves when harvesting them to prevent getting stung. 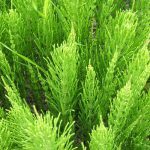 Although the fresh leaves have stinging hairs, thoroughly drying or cooking them destroys these hairs. 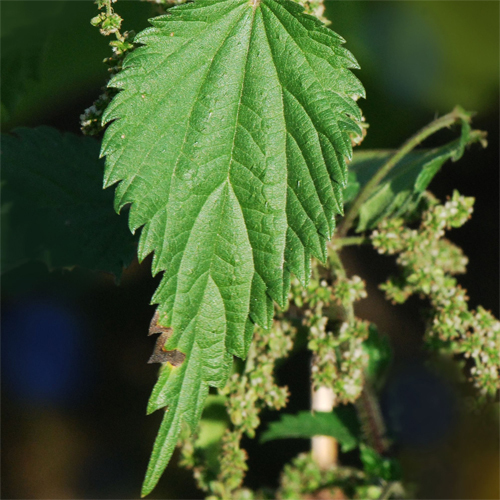 Nettle beer is also brewed from the young shoots. 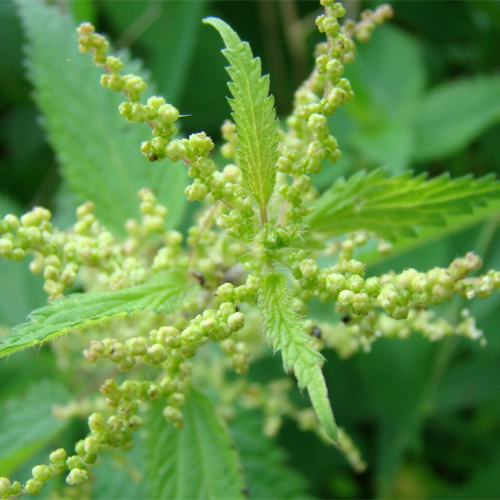 Nettles are also proven to help joint pain, urinary issues, hayfever, bleeding and eczema.